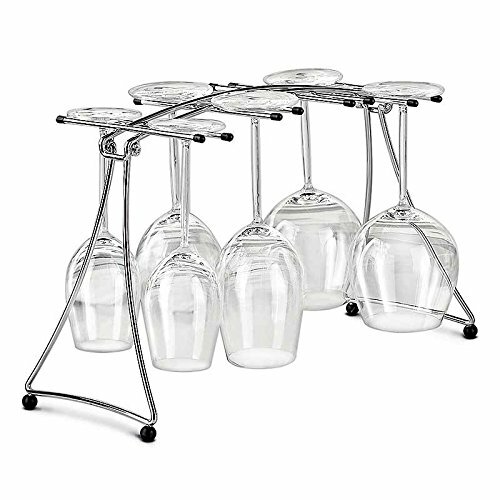 Folding steel stemware rack makes it easy to dry your best wine glasses. Folding Stemware Drying Rack (P/N 10004). When the party's over, simply unfold and it's ready to air dry 8 stems at once. Will even fit Riedel's large Sommeliers Grand Cru glasses. Size: 11 3/4"H x 21 1/8"W x 7 1/2"D.